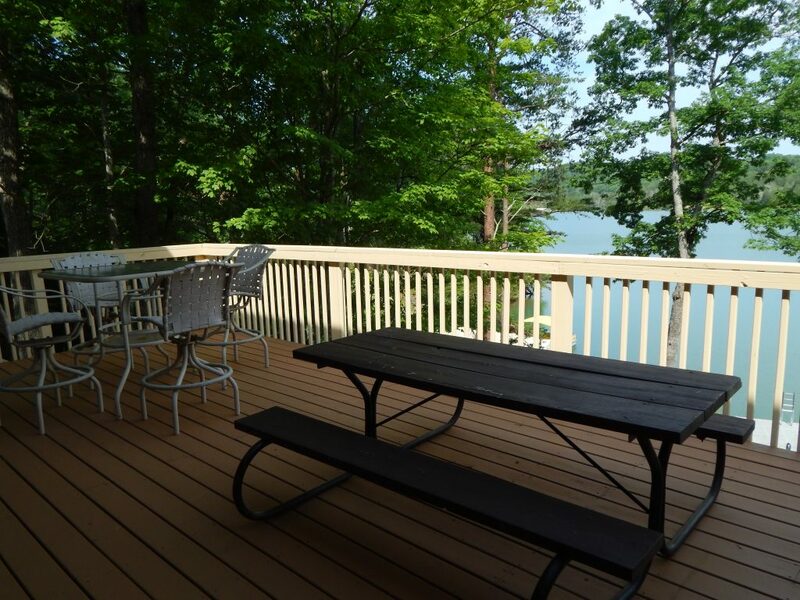 The Good Times are endless with Lake Douglas in your backyard! 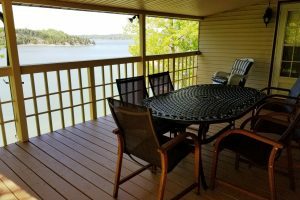 you will fall in love with this lakeside home. 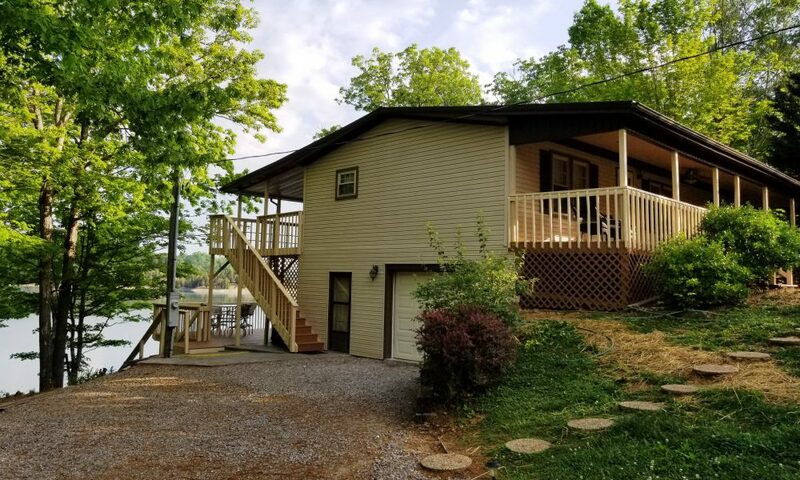 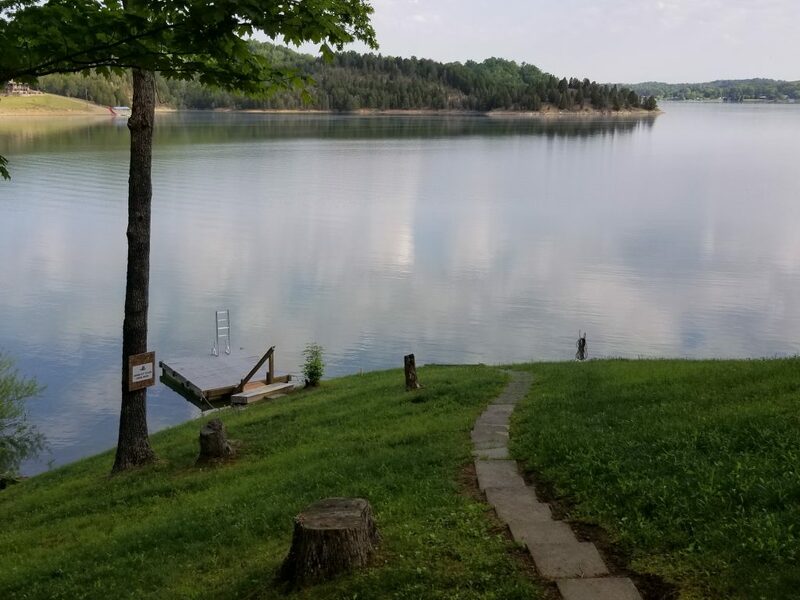 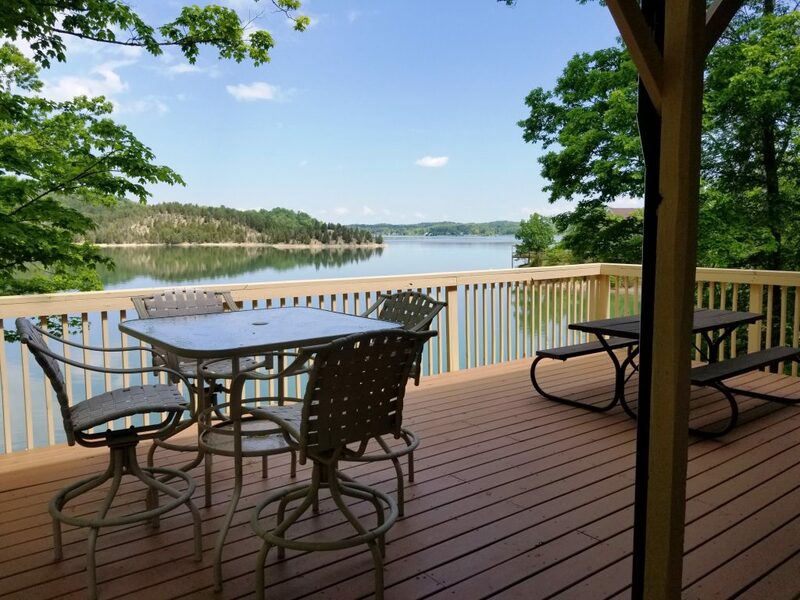 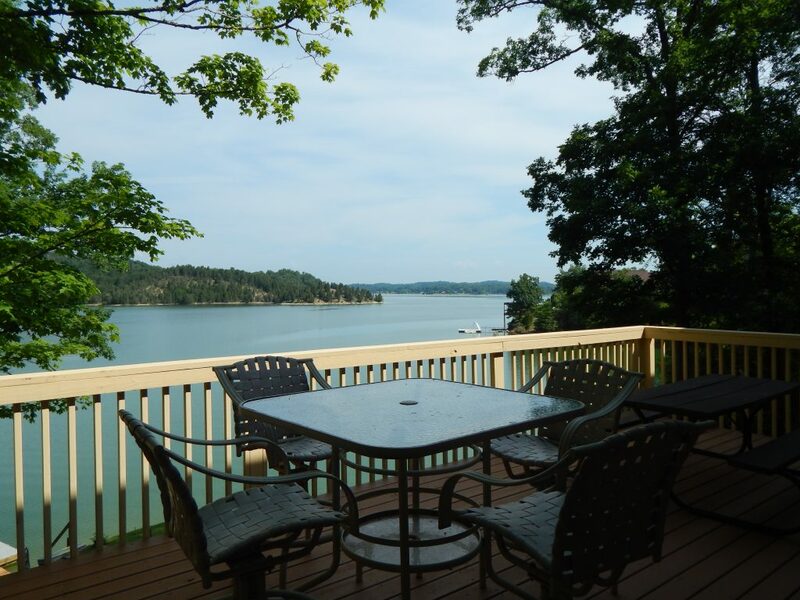 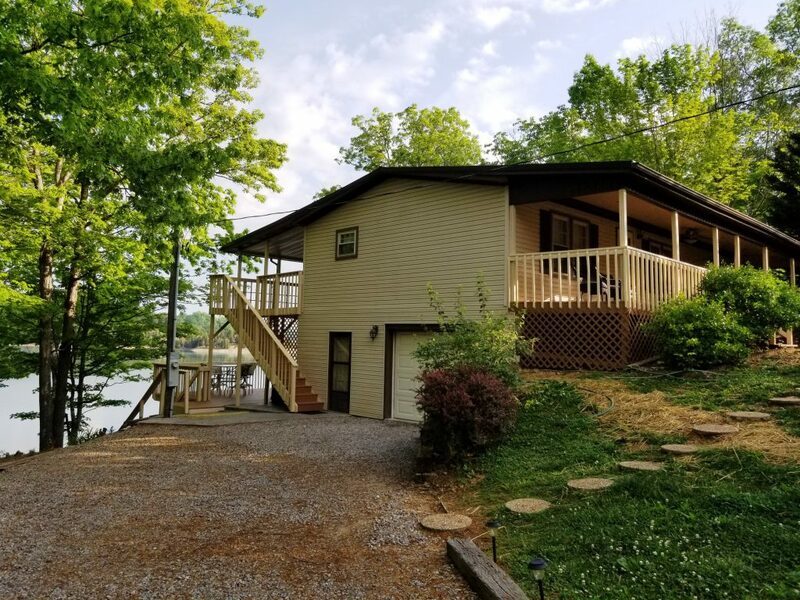 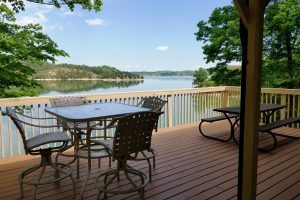 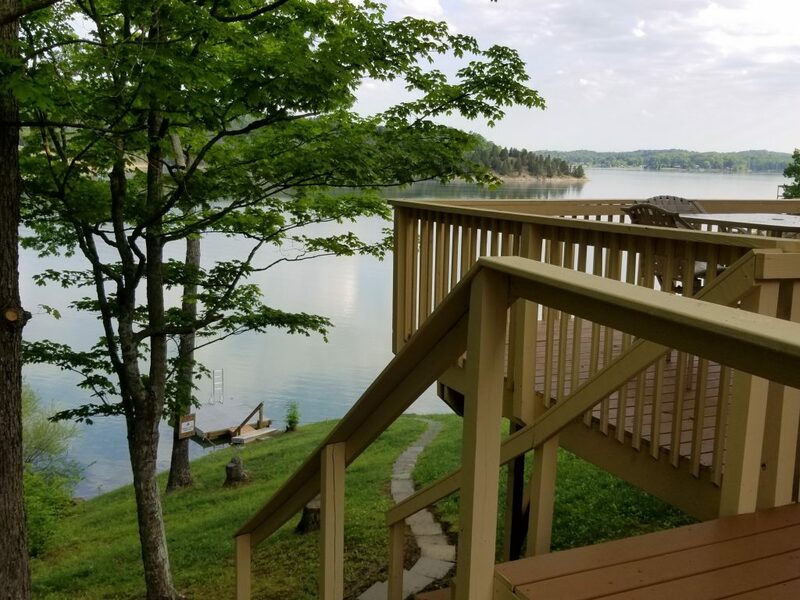 Newly renovated in 2018 this 4 bedroom, 3 bathroom home, with its picturesque front porch and two large decks overlooking breathtaking views of Douglas Lake, is a dream come true. 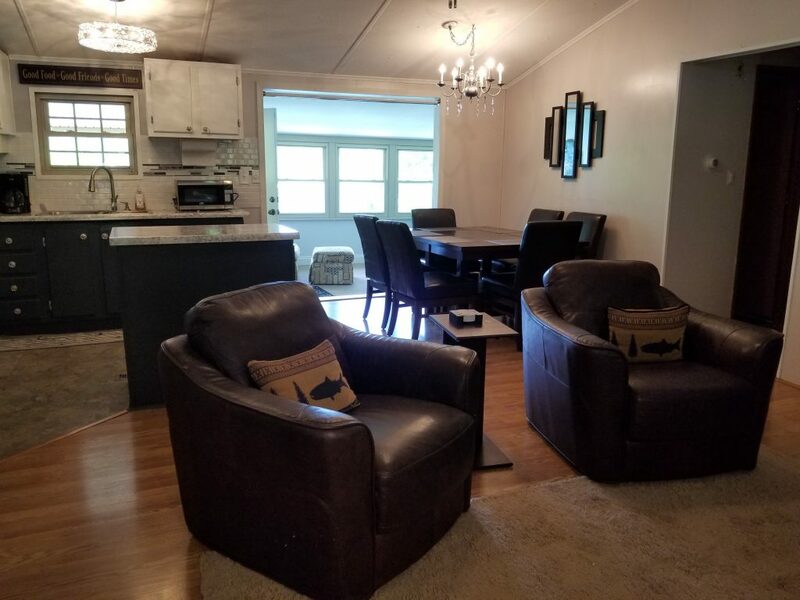 The sun will greet you as you enter the family room, with large HDTV, and continue into the fully equipped kitchen stocked with everything you need to serve breakfast, lunch and dinner. 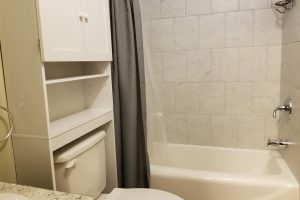 A washer and dryer make it easy to stay on top of the laundry. 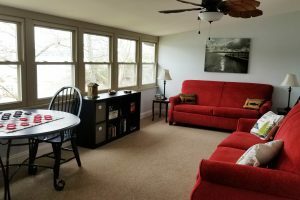 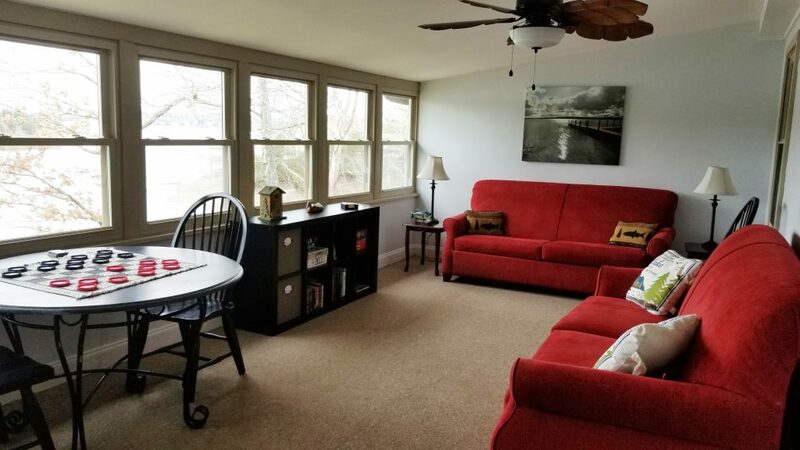 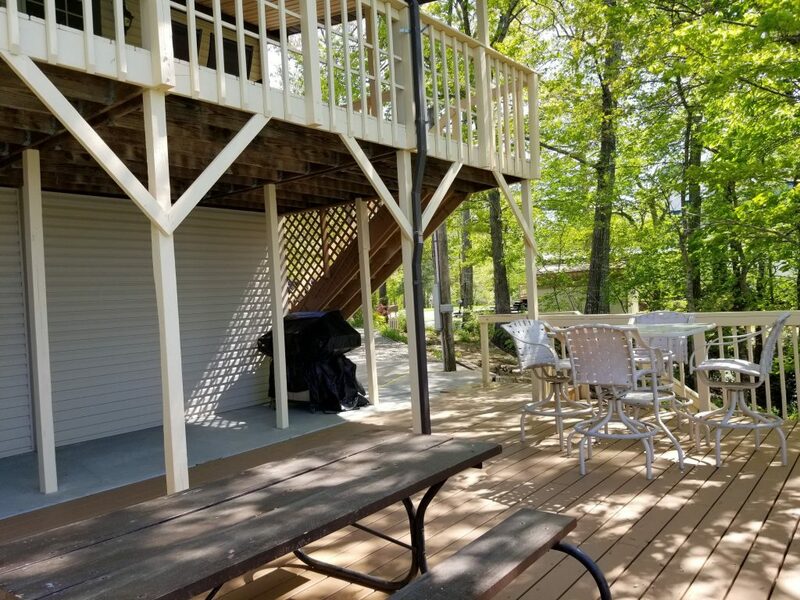 The large sunroom, located off the kitchen, is filled with board games, DVD’s and books, making it the perfect spot for enjoying family game night or curling up with a good book after lunch and enjoying the views of the water. 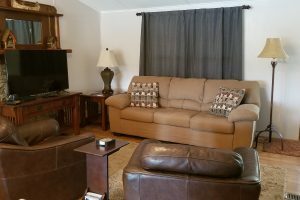 Two comfy sofabeds afford extra sleeping space for larger families. 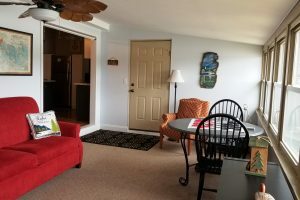 There is complimentary Internet access also. 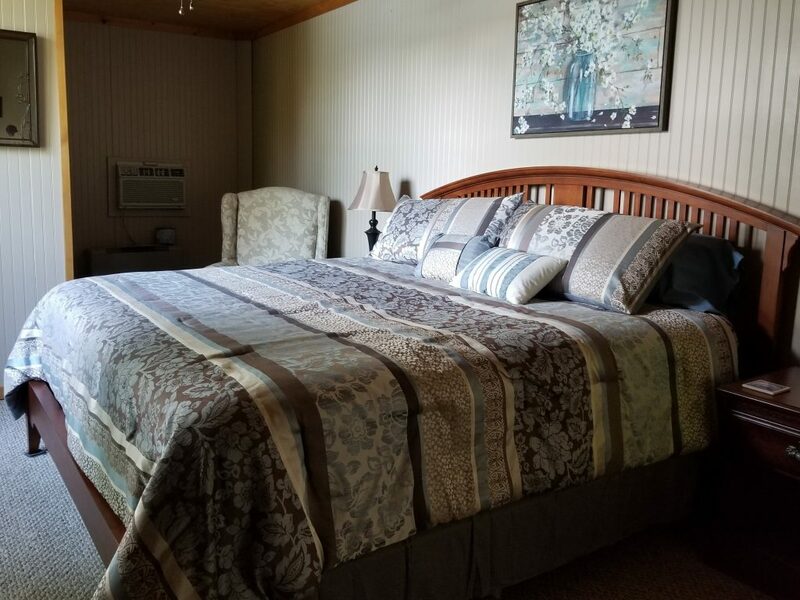 Completing the beautiful layout of this main level are two king size bedrooms, one full size bedroom, and two full baths. 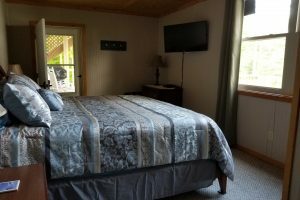 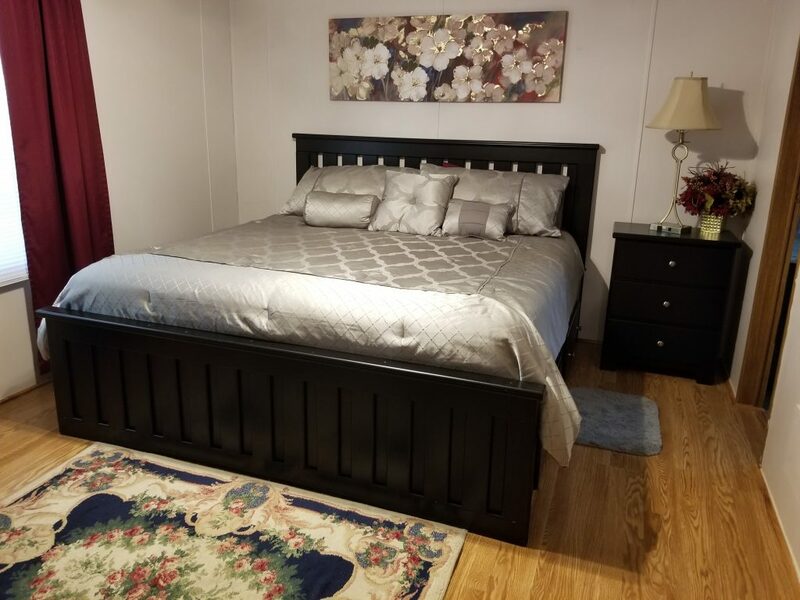 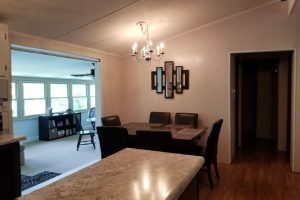 Located on the lower level of the home is a king size bedroom and full bath. 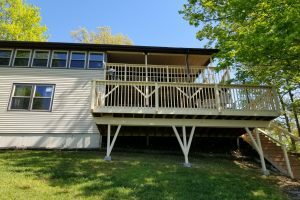 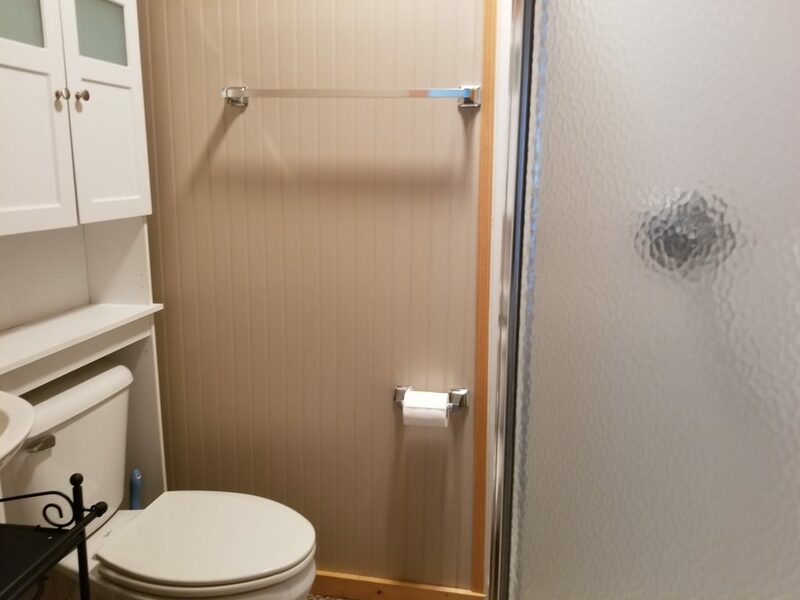 Only accessible thru a separate outdoor entrance off the deck, this level is perfect for anyone looking for that extra bit of privacy. 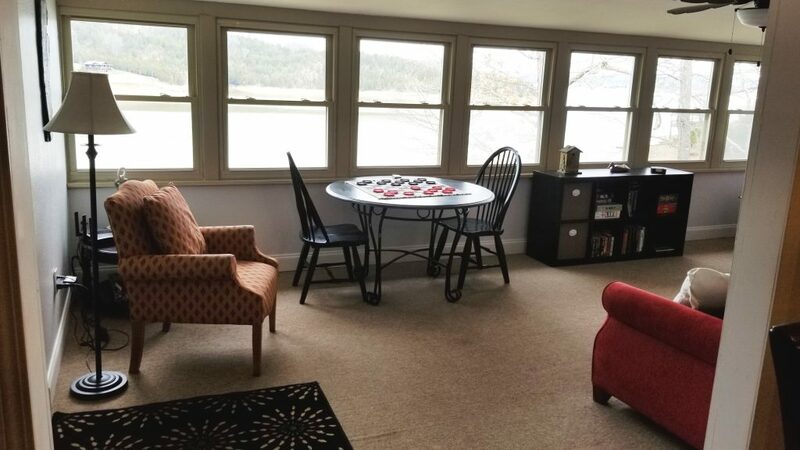 Large windows provide a panoramic lake view. 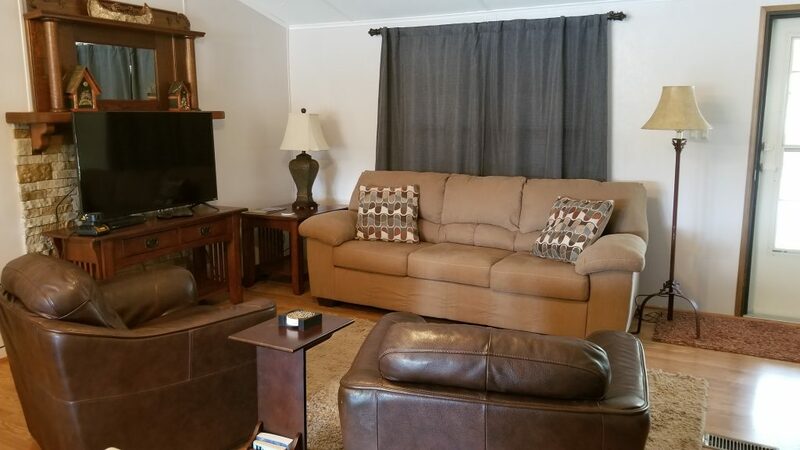 Enjoy TV or a movie away from all the other action. 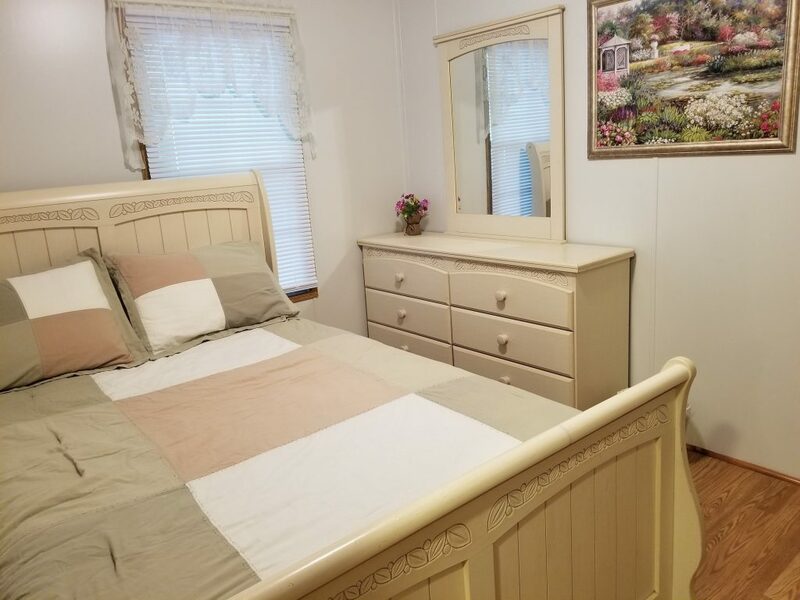 This room is available only if booked as a 4-bedroom. 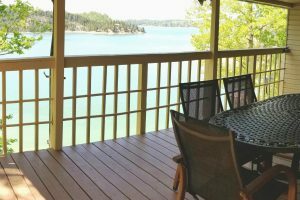 Outside, a gently sloping path will lead you straight to the water’s edge where your private dock, with swim ladder, is located. 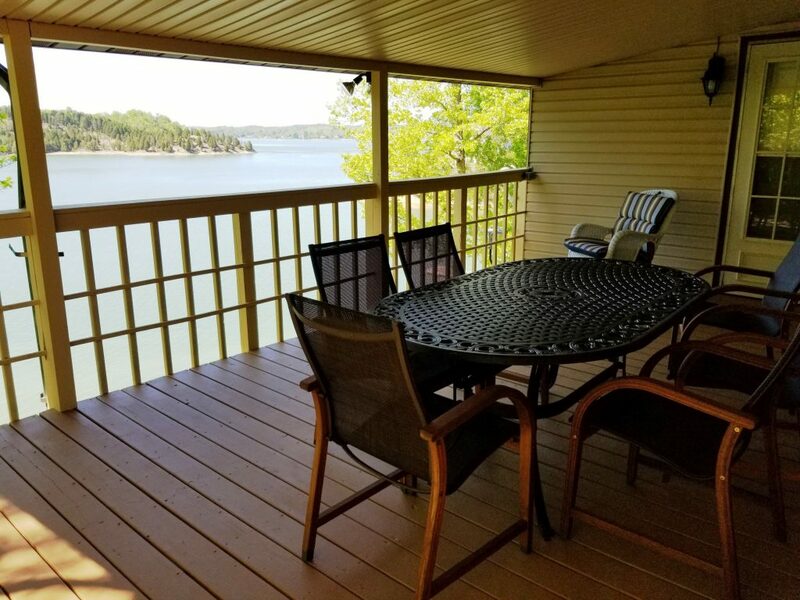 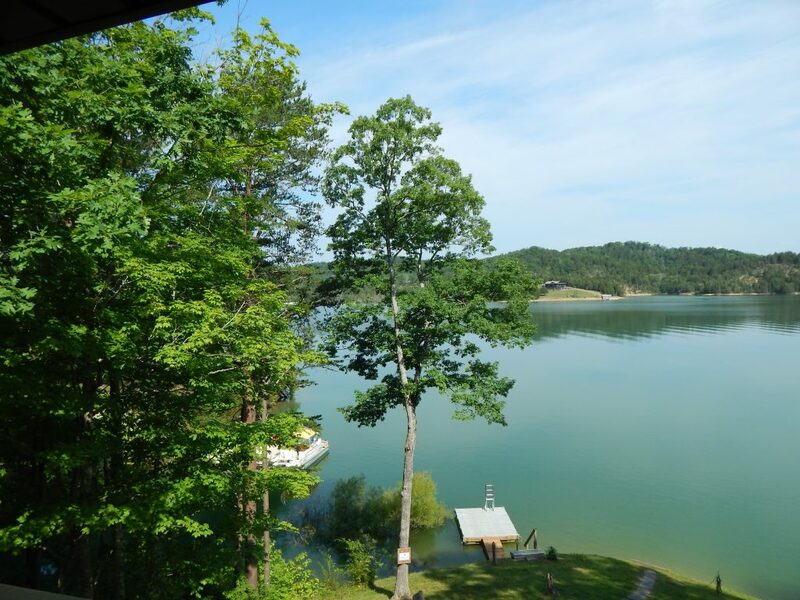 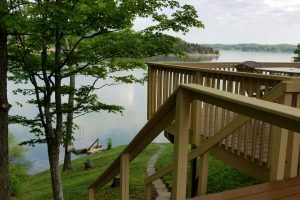 The views from the two back decks, which overlook both the water and dock, are spectacular and the sunsets are breathtaking. 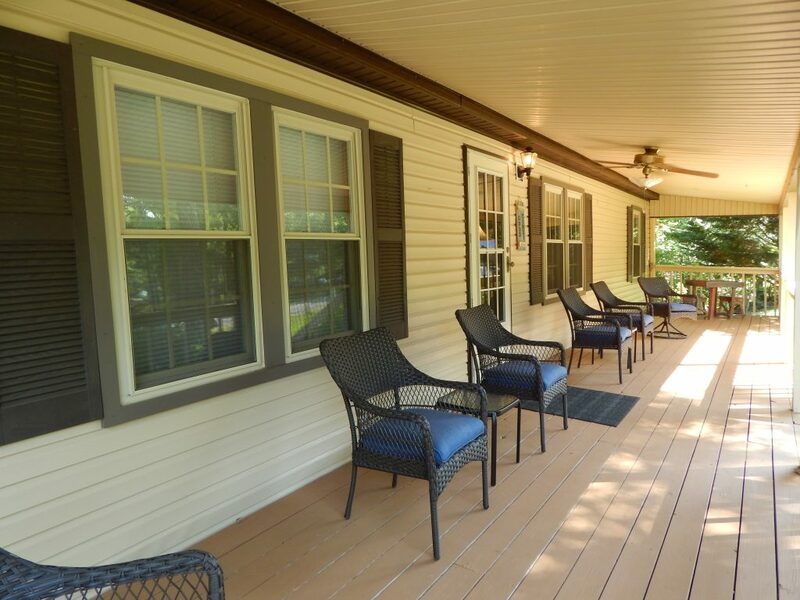 The front porch is outfitted with comfy wicker furniture and a checkerboard table to wile away a lazy afternoon. 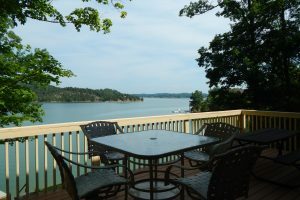 Lakeviews are year-round and the seasonal dock is usually floating mid April to September. 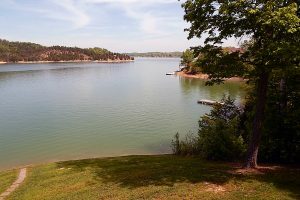 Good Times is located between Markers B and C, and there are two neighborhood boat ramps for your use. 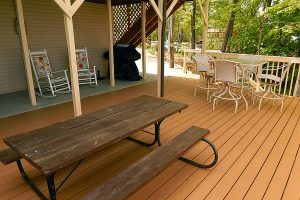 Pigeon Forge and Dollywood are about 15-20 minutes away. 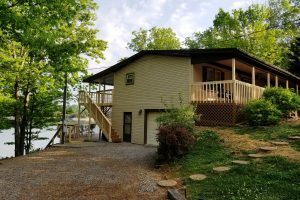 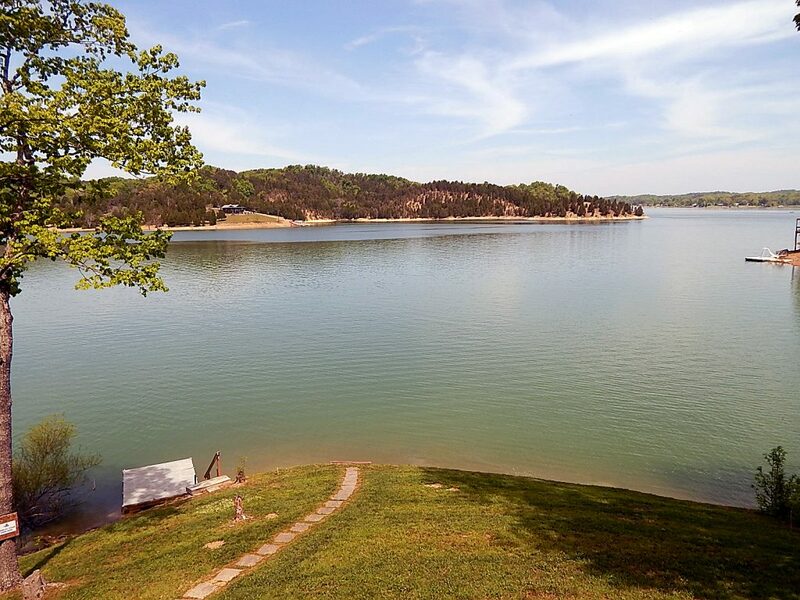 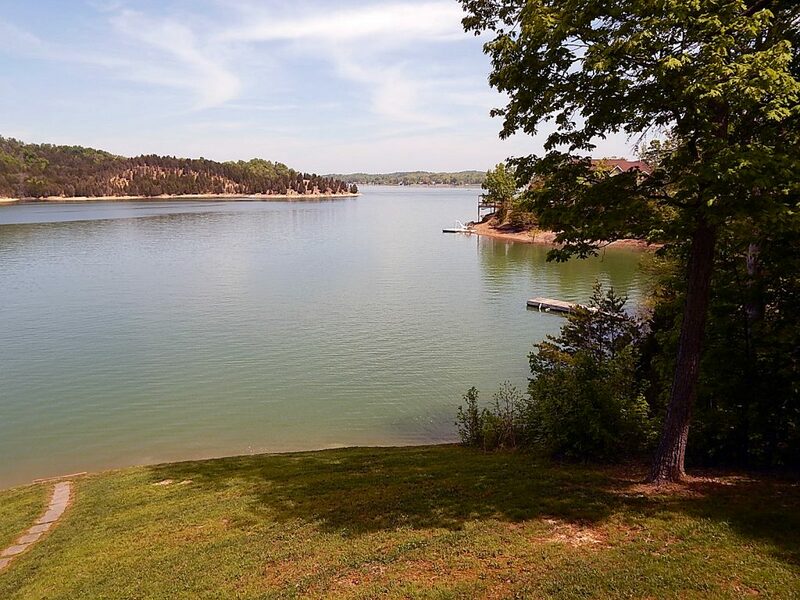 From relaxing in your very own lakefront home to an action packed lake experience, this home offers it all…. 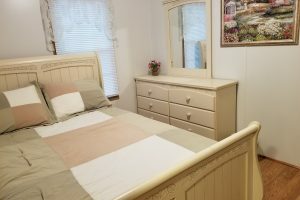 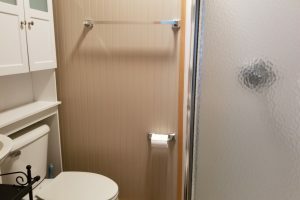 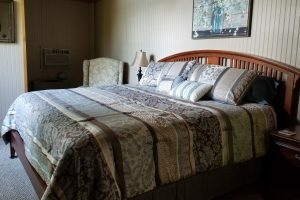 When booking as a 3 – bedroom, the downstairs bedroom and bath are locked out. 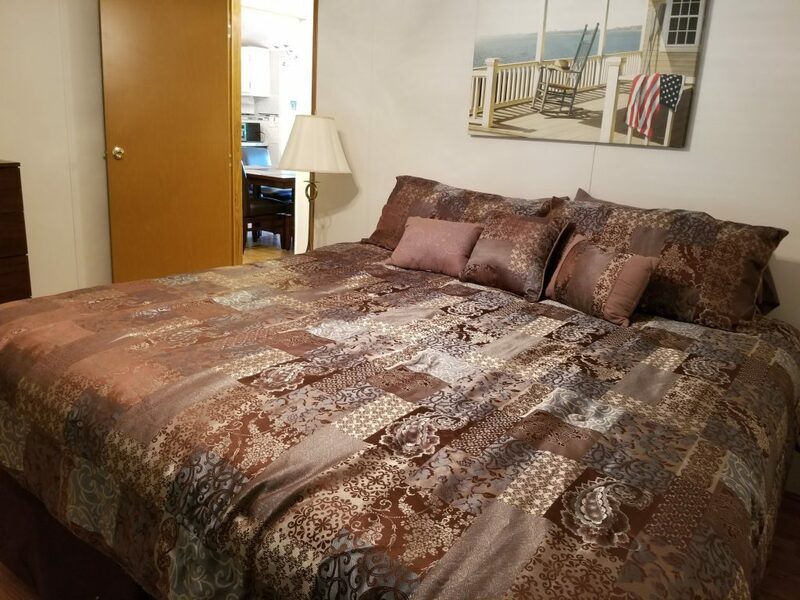 • 1 full size bedroom. 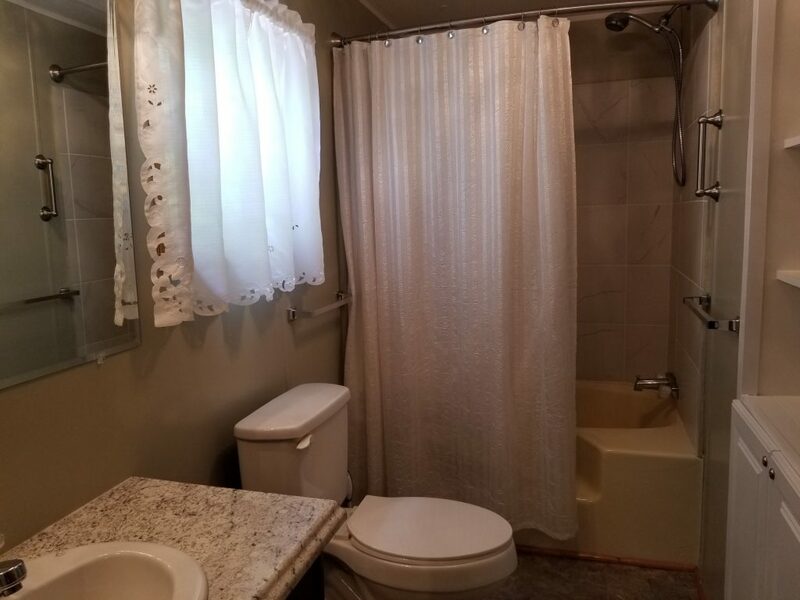 • 2 full baths upstairs. 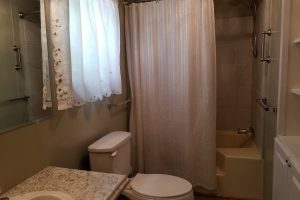 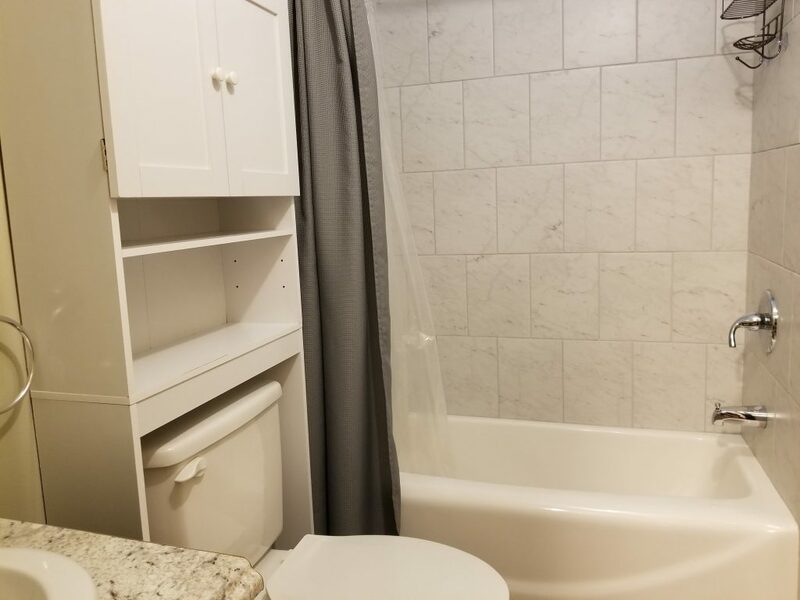 • 1 full bath downstairs. 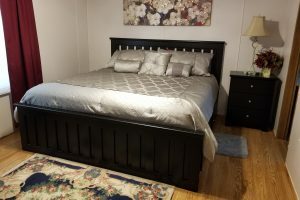 • All bed linens, pillows and blankets furnished. 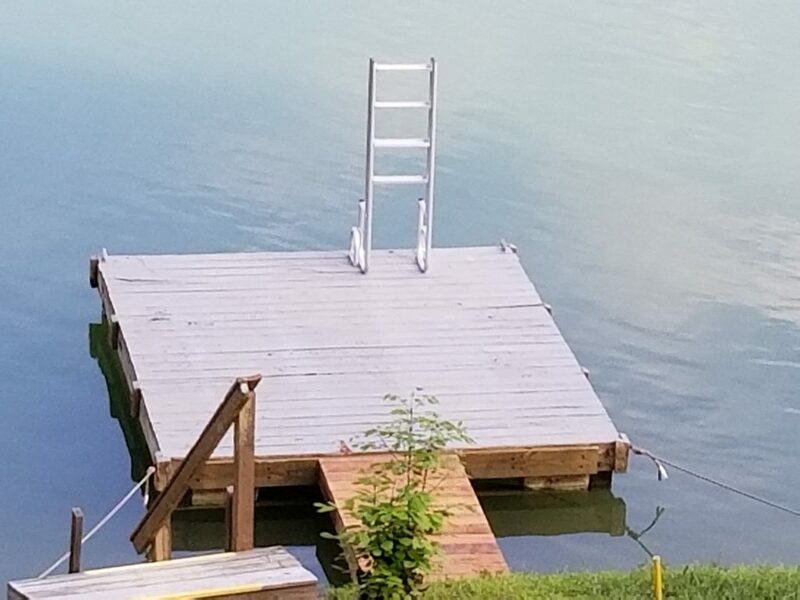 • Private dock with swim ladder. 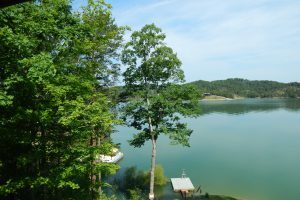 • Gentle slope to the waters edge. 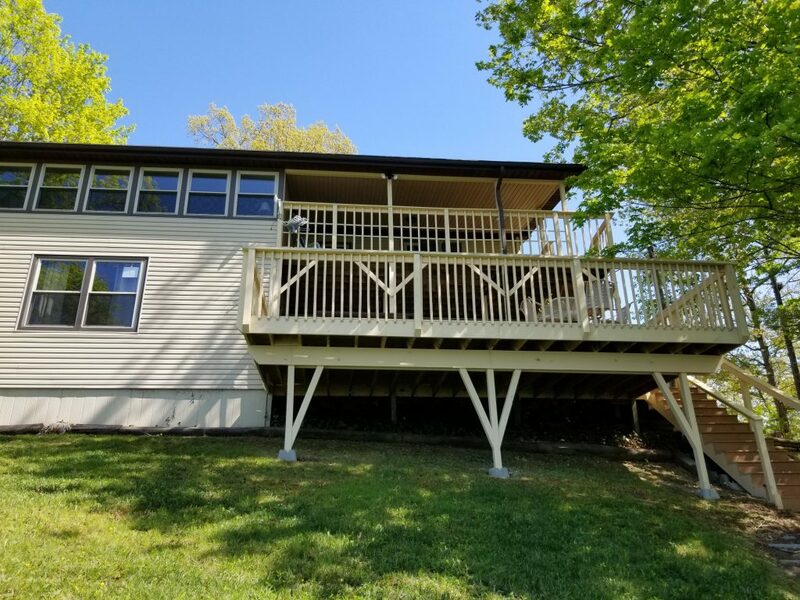 • 2 large decks both covered. 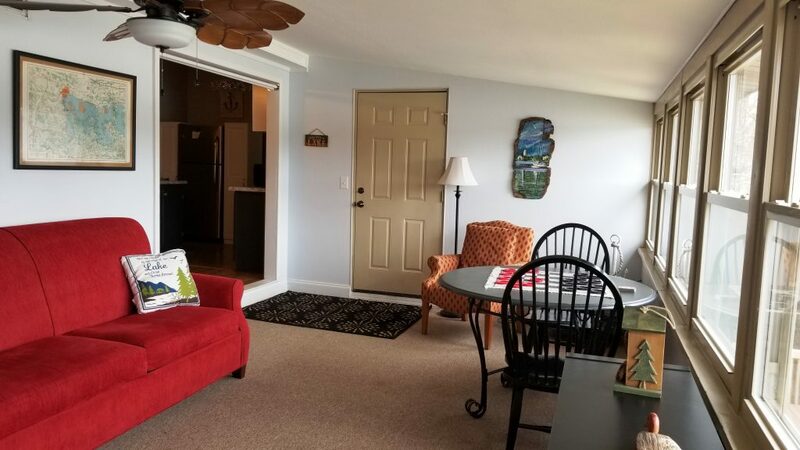 • 50″ TV and DVD player in living room. 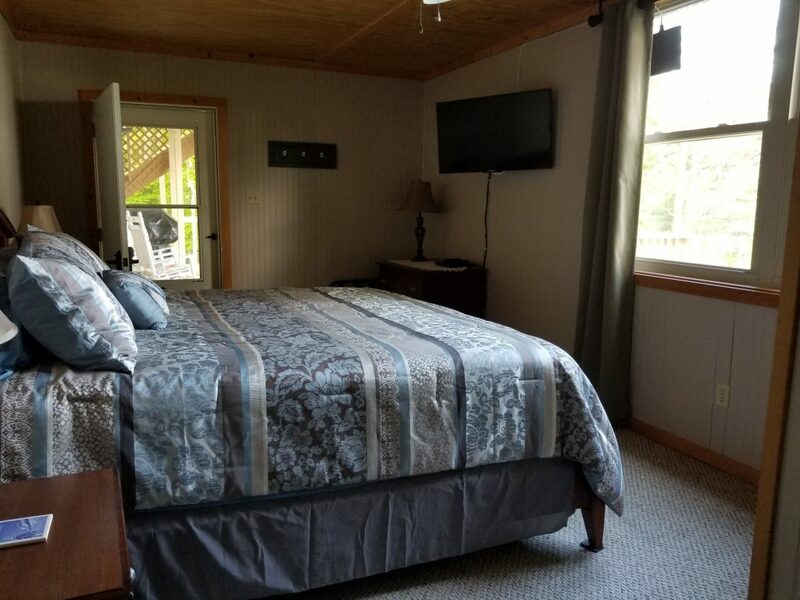 • 32″ TV in master bedroom. 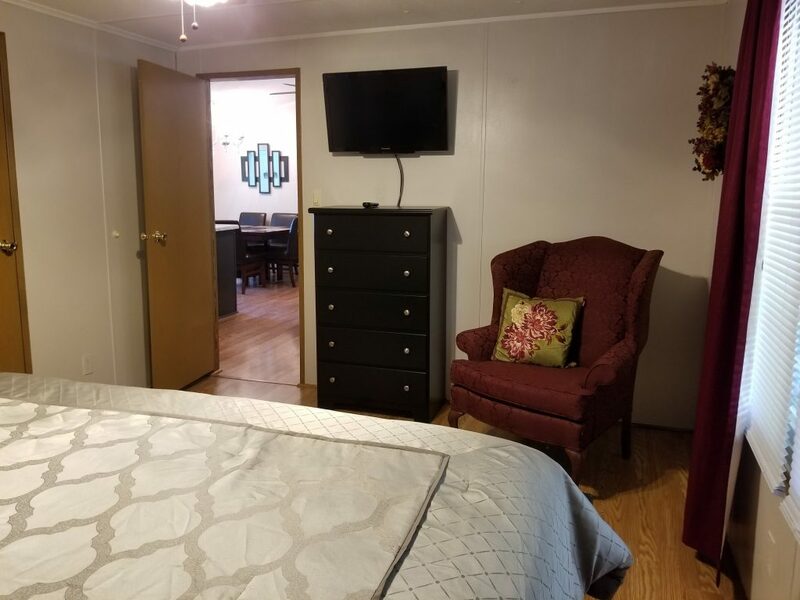 • 40″ TV and DVD player in downstairs bedroom. 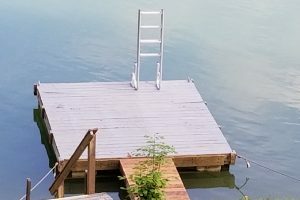 • Shared gated boat launch. 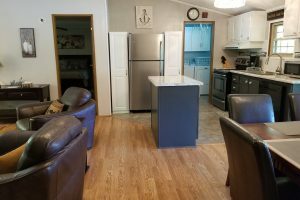 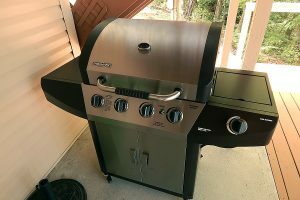 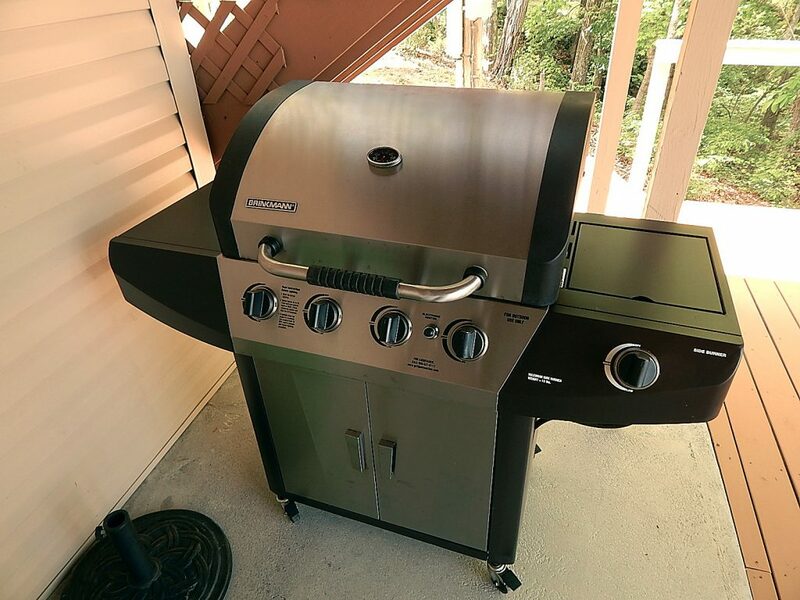 • All new stainless steel appliances in kitchen, stove fridge, dishwasher. 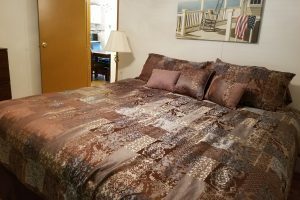 • All new bedding and linens. 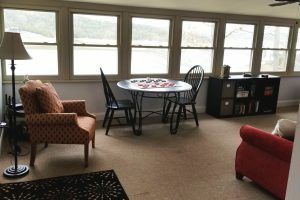 • Lots of games, books and DVDs. 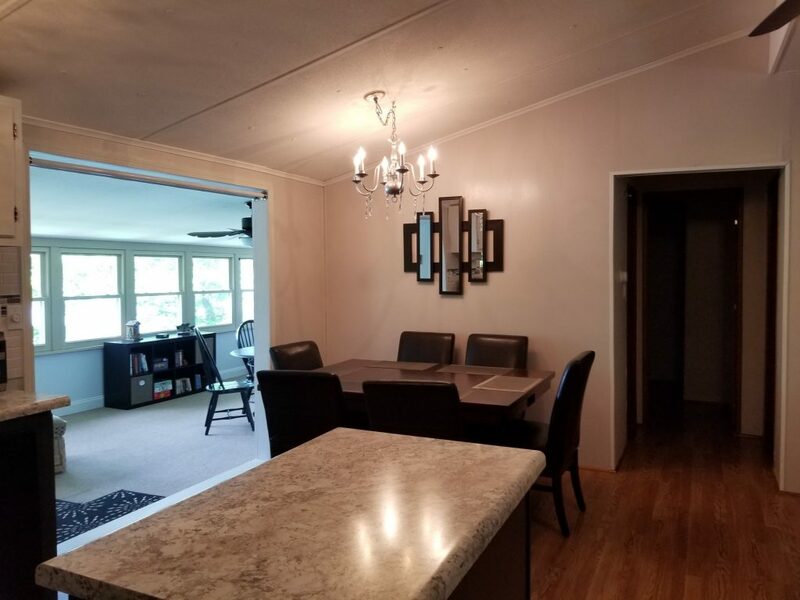 • All cooking and eating utensils pots pans dishes. 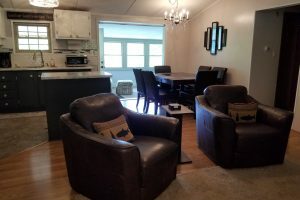 • Microwave, toaster, blender, coffee pot. 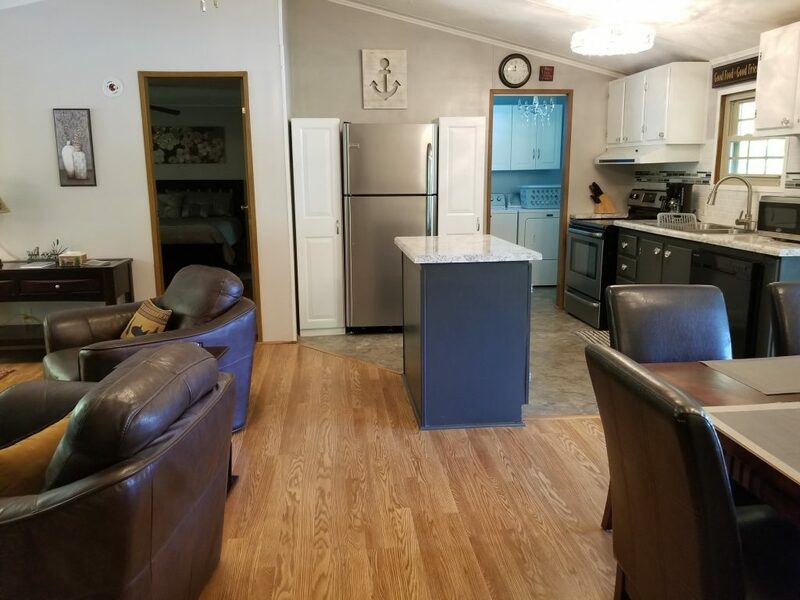 Kitchen is fully stocked with everything needed to prepare a meal. 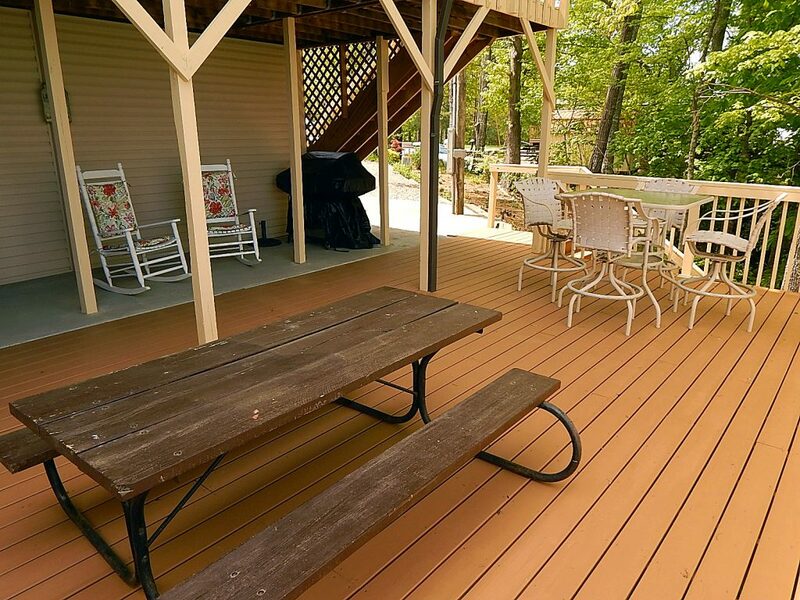 • 1 open air deck. 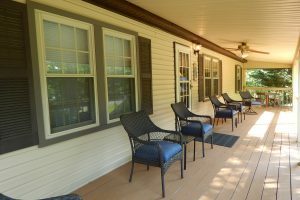 • 1 covered front porch. 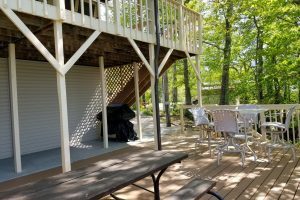 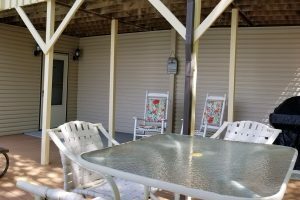 • Lots of porch furniture and outside picnic table and dining table with chairs. 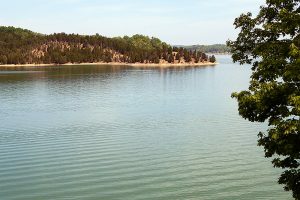 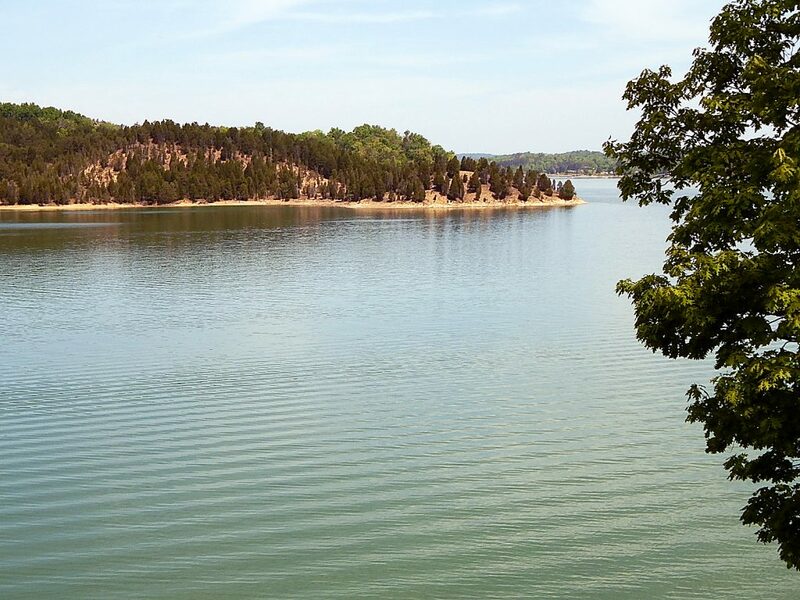 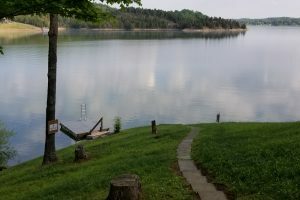 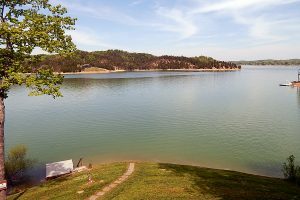 *Please be aware that Douglas Lake is a TVA lake which means lake levels are down in the spring and fall considerably.